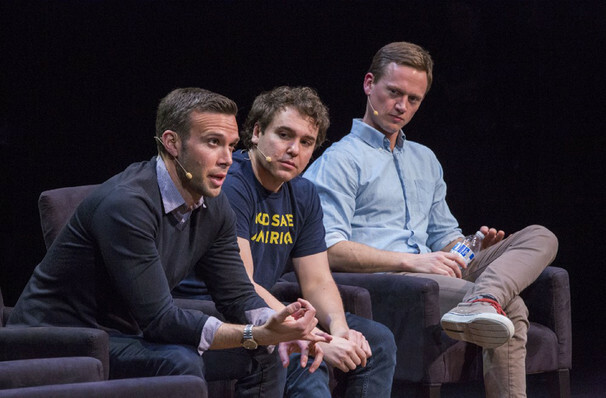 Why See Pod Save America? The country's pre-eminent left-leaning political podcast, Pod Save America began in early 2017, following the election of a certain someone... The hosts are all former members of the Obama administration - speech writers Jon Favreau and Jon Lovett, and National Security Council spokesman Tommy Vietor - who pick apart the policy decisions and latest breaking new stories from the Trump administration week in, week out, with the help of guest journalists and political analysists. The trio will be joined by special guests', but be quick as we are sure plenty of Democrats will fly in for seats! What could be more entertaining that hearing politicians curse as they talk about past times and present? It's going to be a night to remember! About Washington Theater: We are an independent show guide not a venue or show. We sell primary, discount and resale tickets and prices may be above or below face value. Seen Pod Save America? Loved it? Hated it? Help your fellow Washington Theater visitors by leaving the first review! Sound good to you? 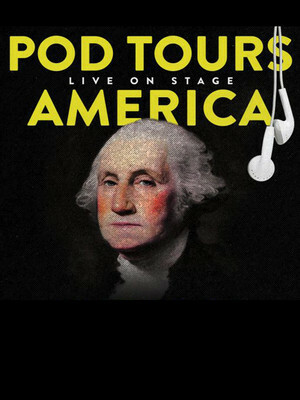 Share this page on social media and let your friends know about Pod Save America at The Anthem. Please note: The term The Anthem and/or Pod Save America as well as all associated graphics, logos, and/or other trademarks, tradenames or copyrights are the property of the The Anthem and/or Pod Save America and are used herein for factual descriptive purposes only. We are in no way associated with or authorized by the The Anthem and/or Pod Save America and neither that entity nor any of its affiliates have licensed or endorsed us to sell tickets, goods and or services in conjunction with their events.